What is UPJ obstruction ? UPJ obstruction is a blockage of the flow of urine from part of the kidney known as the renal pelvis to the ureter, which that carries urine from kidney to the urinary bladder, which is the storehouse of the urine till it is excreted out. Under normal circumstances the kidneys removes waste, excess fluid, salts and toxins from your blood in the form of urine. In UPJ obstruction, the kidney produces urine, but it is not drained through the renal pelvis into the ureter causing a ‘backup’ of urine. This causes urine to collect in the kidney, which leads to kidney swelling (hydronephrosis). The cause of UPJ is still not clear. The most common cause of an obstruction or blockage occurs when a baby is still growing in the womb due to some intrinsic defect in the muscle of the ureter. This is called a congenital obstruction (present from birth). 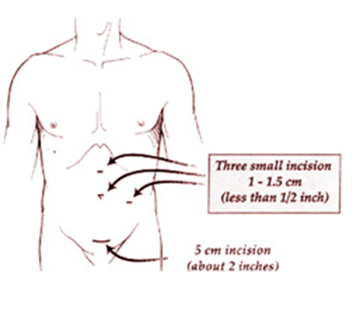 Secondary UPJ can be because of scarring, infection, previous surgery or extrinsic obstruction. What are the signs and symptoms of PUJ? Creatinine clearance and BUN (blood urea nitrogen): used to find if the kidney is working well as it filters the blood. Intravenous pyelogram (IVP) - less commonly used nowadays. 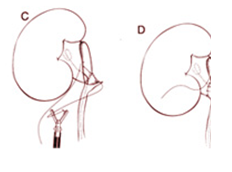 Nuclear scan of kidneys: know the degree of obstruction and renal function. While open Pyeloplasty, the removal of the abnormal segment of ureter, is the most common surgical treatment, laparoscopic pyeloplasty, with or without robotic assistance, used to treat UPJ obstruction in children and most adults who have not had success with other surgical options.